March 14, 2015 -- BIT Magazine Aquaponics is a combination of fish farming (aquaculture) and soilless agriculture (hydroponics). Fish are kept in a water tank, and above it is a growing bed. Water from the fish tank is pumped up to the growing bed where it filters through a growing medium and the roots of your plants, then back into the fish tank below. The process filters the water for the fish, and the filtered fish waste provides nutrients for the plants. While it seems simple in concept, when people finally try their hand at it, they may confront several common problems. This guide hopes to shed some light on a few of them. 1. Be Patient You have your fish tank, you have your plants. Next, you must wait patiently for two things. First you have to wait for your fish tank to "cycle." As the water flows through your system, bacteria will begin establishing themselves in the upper grow bed among the growing medium. This bacteria breaks down ammonia in the water emitted as part of fish waste into safer nitrites. Before this happens, toxic levels of ammonia can build up, killing your fish. Therefore, put only a few fish in at first, and fish you can afford to lose. It can take up to 1-2 weeks before your water will be balanced and safe for your fish. 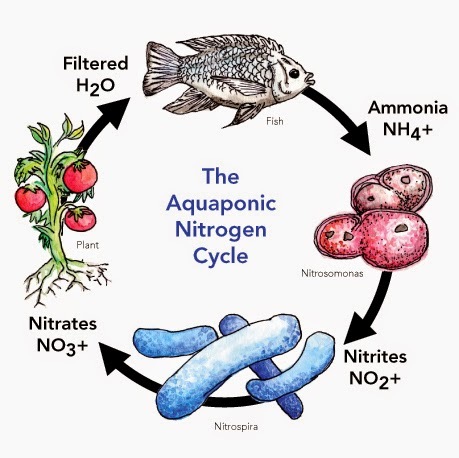 Next, a second variety of bacteria, when nitrite levels first begin to rise, will establish themselves, turning nitrites into nitrates, the substance that plants in your aquaponics system need to survive and thrive. The entire process could take up to a month to complete. Once it begins, you will see your fish and plants begin to thrive. But before that, you may see disappointing results, including the loss of fish and droopy looking, sickly plants. Knowing that there is light at the end of the tunnel can help beginners hang in there and keep going. What patiently for the necessary microbiological activity to take root in your system and you will be rewarded. 2. Water Pump and Tubes Your water pump is the heart of your aquaponics system. Without it, the water will become stagnant, your plants will dry out and die, and the entire system will collapse. The tube you use to take water from your fish tank to your grow bed is very important. Make sure that it is secure and cannot under any conceivable circumstance come loose and fall out of your grow bed. If this happens, your system will empty out onto the floor, your fish will die, your plants will shrivel, and your water pump may burn out. Designing a tubing route in your grow bed that is secure is one approach. Other approaches might include a device or tie that fastens the tube into place securely. 3. Drains and Overflow Another common problem, particularly in mature systems, is your grow bed's return drain becoming blocked. This can happen because your growing medium obstructs your drain outlet for whatever reason, or when roots become well developed to the point where they are blocking your system's drain. This system's grow bed has an overflow notch designed into it (left). If for whatever reason your normal drainage stops, water will overflow through this notch (right), safely back into your fish tank until you unblock your drain. Without such a notch, water will flow out in all directions, including onto the floor, eventually emptying out your entire system! When drain blockage happens, water will backup in the grow bed and flow out wherever the path of least resistance so happens to be. 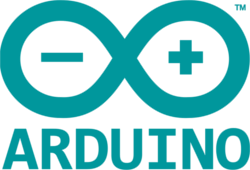 Once again, your project may empty out onto the floor, with similarly disappointing consequences. Designing an overflow feature into your grow bed can be as simple as drilling holes near the top edge of the grow bed, directly over the fish tank, to ensure that if water reaches the holes, it empties out back into the fish tank until you return and remove the primary drain's blockage. Another feature could be a notch designed into the grow bed if you happen to be building yours from scratch using a material like ferrocement. Test your overflow provision with your growing medium placed in the grow bed. This is necessary because many kinds of aquaponics growing medium are buoyant to a certain degree and may overflow with the water, emptying it into the fish tank below. You must devise an overflow system best suited to the growing medium you are using. 4. Automation Little is needed day-to-day to take care of an aquaponics system once the fish are settled and plants are growing. Fish must be feed once or twice a day depending on the species, and once a week or so, water may be added as needed. It is possible to feed your fish automatically, meaning that only topping off the tank once in a while will be necessary. If your plants are not exposed to direct sunlight, you may use artificial lighting set on a timer such as off-the-shelf LED floodlights (30-50W, 6500K). Timers, plugs, and outlets should be kept above the water level in both your fish tank and your growing bed (including in case of a possible overflow incident). Plugs and outlets should be kept so that if they fell they would not plunge into your system. 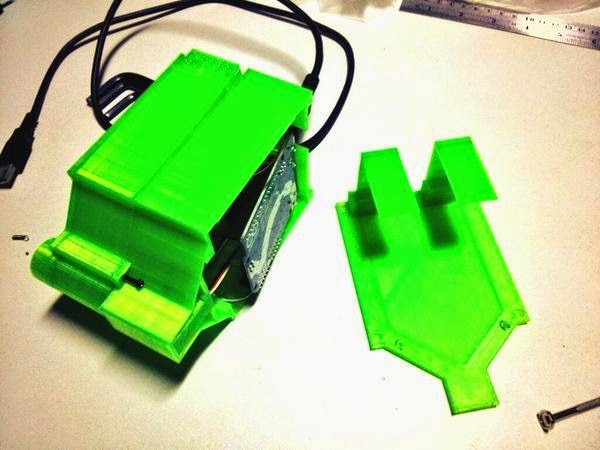 A 3D printed, Arduino-driven automatic fish feeder. Despite whatever level you automate your system to, it is still a good idea to check it as often as you can, including checking drain outlets and the health of your plants and fish. Remote monitoring systems, where you can check in on your project over the Internet using a webcam, are also options you can include with your aquaponics system, but are still not substitutes for a first-hand assessment. 5. Start Small, Then Expand The temptation to start big should be resisted. Start a small system and meet all of your goals with it first such as raising fish to a certain size and number as well as raising plants to the point where they bear fruit or produce vegetables suitable for harvesting and use. Once this is accomplished, then move on to larger, more challenging systems. Aquaponics is the creation of an artificial ecosystem that requires a good design, a careful balance between all of its working elements, and above all, time. A small, simple system will allow you to quickly gain the experience necessary to understand and control the variables involved in running any aquaponics system. Starting on a larger system and running into failures and setbacks will require larger amounts of time, money, and resources to correct and overcome. There are so many different ways to run an aquaponics system depending on what you are trying to accomplish, under what conditions, and with what available resources. Failure is nothing more than a challenge to reassess what you have done, what mistakes you might have made, and what improvements you need to make in order to successfully cultivate an aquaponics system. Find success stories that mirror approximately the same sort of set up you are thinking about and use that as encouragement to reach your goals, then exceed them. Like all gardening, maintaining an aquaponics system can be tremendously rewarding once these challenges are overcome. Once you've succeeded, feel free to share your experience with others. Maybe you will have an article titled, "5 more things to know for better aquaponics!"